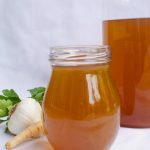 There is nothing better than homemade stock and this is The Best Vegetable Stock is no exception. 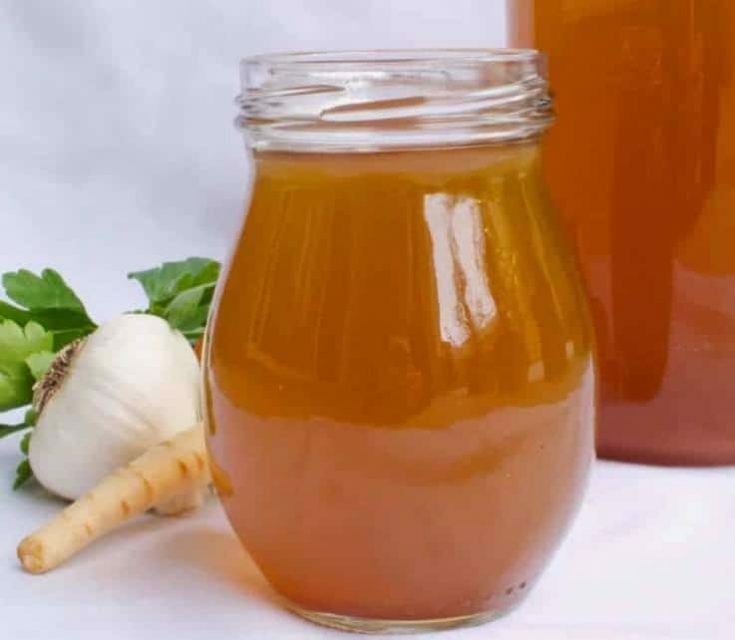 Vegetables like carrots, parsnips, mushrooms, onions, celery, herbs and more bring so much flavor to this stock, it’s good enough to drink it on its own. I love my homemade stocks and broths and I mostly cook with chicken stock because it adds so much flavor to dishes. I’ve been getting some requests for vegetarian versions of some of my dishes and sometimes it’s just a matter of swapping chicken stock for vegetable. The simple answer is (and this is the same with chicken/bone broth and stock. 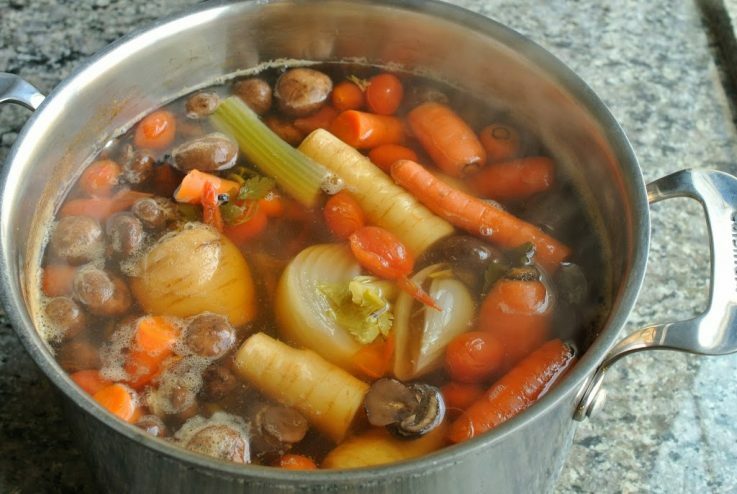 Stock is cooked longer than broth which ensures a deeper, flavorful stock. Unlike chicken stock, vegetables stock needs a lot of help to get flavor. 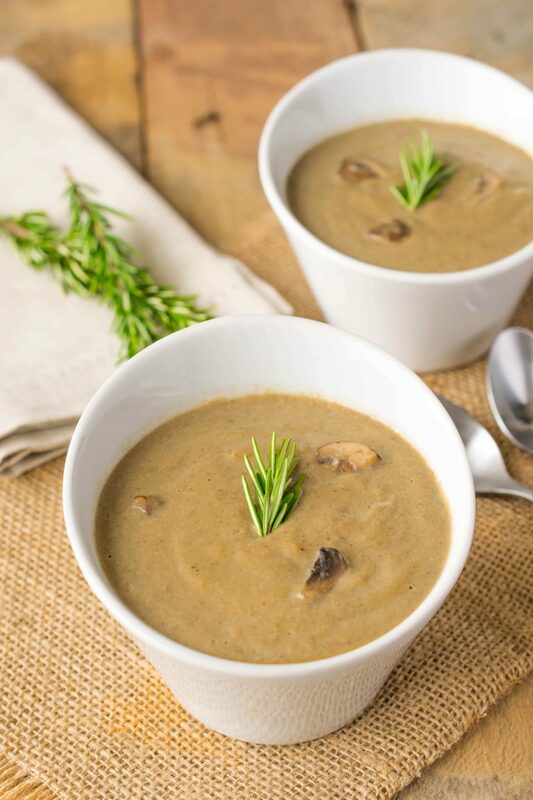 This might seem like there are some odd addition of vegetables that are not normally found in the making of other stocks, like tomatoes, they add sweetness, as does the parsnips and the mushrooms give it richness. As I’m typing this, my pot of vegetables just came up to a boil and it already smells amazing. So let’s get to the recipe. This stock is perfect for all vegan and vegetarian dishes like Vegetarian Chinese Hot and Sour Soup (picture below) and Creamy Butternut Squash Pasta Creamy Butternut Squash Pasta, plus more recipe suggestions below. If you’ve tried The Best Vegetable Stock or any other recipe on the blog, then don’t forget to rate the recipe and let me know it turned out in the comments below. I love to hear from my readers! 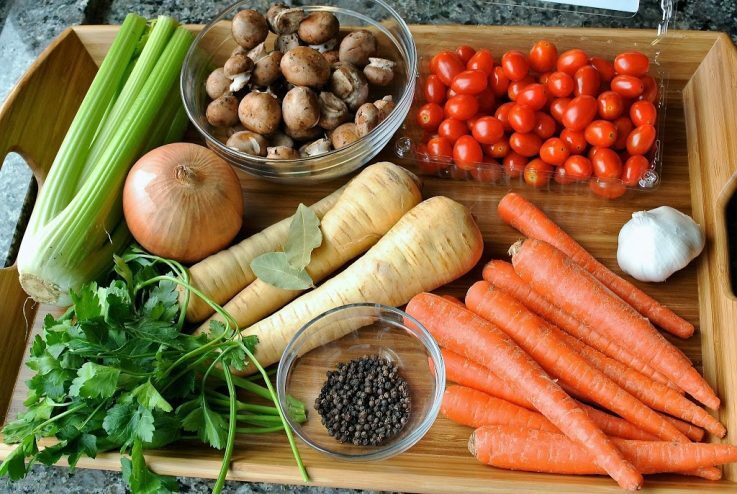 Vegetables like carrots, parsnips, mushrooms, onions, celery, herbs and more bring so much flavor to this stock, it's good enough to drink it on its own. In a large saucepan or stock pot, add all the ingredients. Allow to cool and transfer to jars or containers. I like to pass the liquid through a sieve so you get a nice clear liquid. *The stock will keep in the fridge for 1 week or in the freezer for 3 months. What do you do with the veggies when the stock is finished? Hi Joanna, that’s a great question. After they have cooked this long, they have really lost a lot of flavor so I just puree them and either add it to mashed potato, or use it to thicken a soup. Thank you for visiting. I love making my own veggie broth! And this one looks so good and healthy! I also make it and freeze it in big batches so that I always have some around! Thanks for the great recipe! This looks yummy – so much flavour! It’s shocking how many recipes could be made vegetarian by just using veggie stock! That is some gorgeous stock. Look at that rich colour. Thanks so much for sharing the recipe! It is really very handy to have ready made homemade stock! This one looks rich and super tasty! There is nothing healthier than homemade stock Janette and yours looks great! Pinned and shared! The homemade one is always better and love that this stock is so versatile. 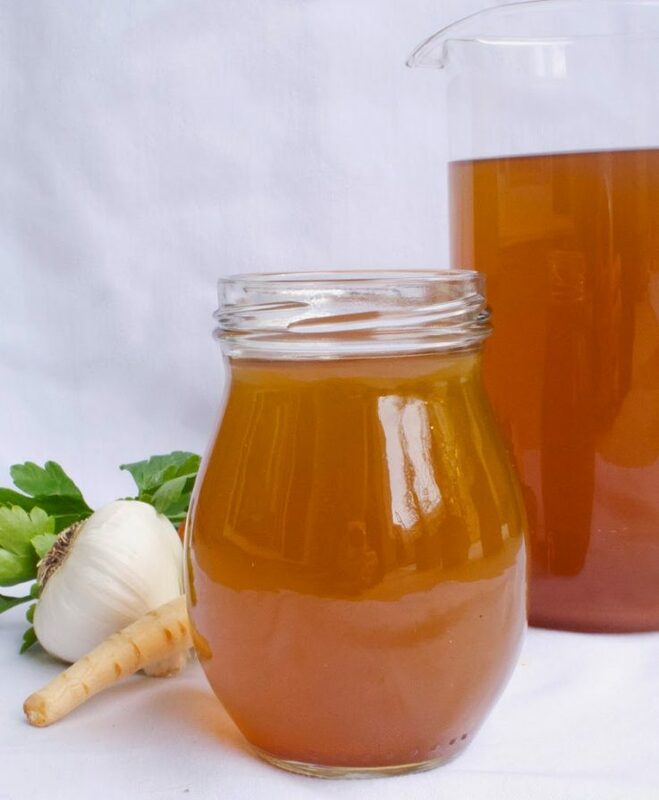 Love homemade stock – so much better than store bought. Your recipe looks really good! I love the color mushrooms bring to a vegetable stock. I add tamari to mine, too. I love making homemade stocks and your vegetable stock looks fabulous! I made my first homemade stock this past winter and I loved it. I’d love to try more.